While it seems like everyone and their mom owns an iPhone, the Android is intent on dethroning it. Google and Apple are locked in a death match, and the winners are the customers. Why? Because in the process, hundreds of great Apps have been produced. UPDATE: This post was originally written in 2010. You can still find our original post from 2010 at the end of this article, which is still relevant given that many of the apps are still as popular as ever. But obviously there have been some changes in the market over the past four years, so we’ve updated the list for 2014 to give you even more fantastic Android apps. Here are some excellent apps we either missed or are new since 2010. Our choices are based on a combination of features such as popularity and ratings, interesting elements or features, and their lack of inclusion on the original list. Don’t see your favorite app on the list? Leave a comment and tell us what we missed. Splashtop 2 Remote Desktop – This is a remote desktop app that lets you stream your whole PC or Mac screen to your Android Smartphone. It’s great for checking files and work on the go. 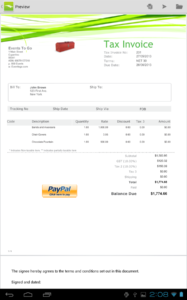 Invoice2Go – Create and email invoices and estimates to customers from your mobile phone. This app features over 20 templates that you can customize. Call Blocker – Block annoying phone calls and SMS messages with black list capabilities. Back up your contacts and transfer data to a new phone. You can also erase your call history and delete SMS messages permanently to protect your privacy. CamCard – Scan business cards into your phone by taking a picture of them. It will then read the card into your card holder or address book. You’ll never have to manage a collection of physical business cards again. TripLog – Do you need to track your mileage for tax purposes? If so, TripLog might be for you. 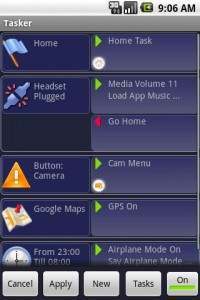 You can track vehicle mileage using GPS. It will auto start when moving more than 5 mph. Job Search — Run by Indeed, one of the top leading companies in job search services, the Job Search app allows you to search over 15 million job openings in 50 different countries. Upload your resume, keep track of your favorite listings, and even track which jobs you’ve applied for. 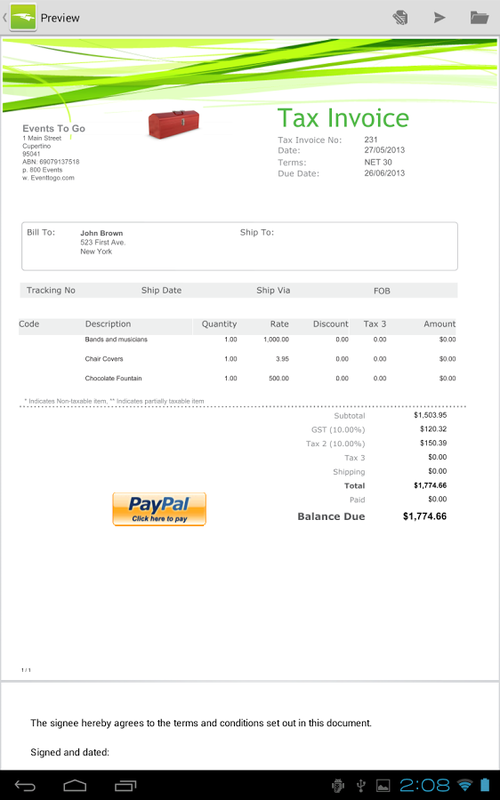 Square Register — This app offers a simple solution for businesses wanting to accept credit and debit card payments. Simply order the free card reader, plug it into your device, download the app, and start accepting payments on-the-go. Evernote — As an editor’s choice app, the Evernote note-taking app can’t go overlooked. It’s perhaps one of the best productivity apps on the market to keep you in touch with everything business and personal, and with new tools like handwriting and note linking, it’s better than ever. Quickoffice — Create and edit Microsoft and Google documents on-the-go. FXGuru – Add special effects to your movies on your phone. Several effects are free and others are available via in-app purchases. Geocaching – Think of this as a real-life treasure hunting game. Players sign up at the app’s website and can choose a nearby geocache to find using their phone’s GPS. SlingPlayer – If you have a Slingbox, you can now use this app to watch your TV from your Android device. Police Scanner Radio Scanner – Listen to police scanners around the world. More are being added all of the time. Talking Tom Cat 2 – Interact with a virtual cat named Tom. Dress him up to look like different professions. Pet his belly, pull his tail, talk to him, and more. Record videos and share them on YouTube. Vine — Vine offers a simple way to share life in motion. Upload short looping videos and share them with your friends. You can edit your videos on the spot and then share them on Facebook and Twitter. SongKick Concerts — Keep up with your favorite bands and get alerts when they’re coming to town. 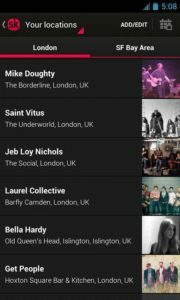 Get personalized data for your favorite bands or browse through all local and worldwide events. DISH Anywhere — Take your favorite TV shows with you and watch live or recorded programs at anytime, anywhere. You can also control your home’s DVR with the app, which is available to DISH subscribers. Netflix — Stay connected with your favorite online streaming service on-the-go. Temple Run 2 – This sequel is a fun swipe game that has you helping your character get away from temple spirits after he or she robs the temple. Swipe different directions to avoid obstacles and turn and collect coins to buy upgrades. Also check out the original TempleRun, TempleRun: Brave, and TempleRun: Oz. Candy Crush Saga – This is an addictive match-3 puzzle game. 4 Pics 1 Word – Figure out what each of four pictures have in common. 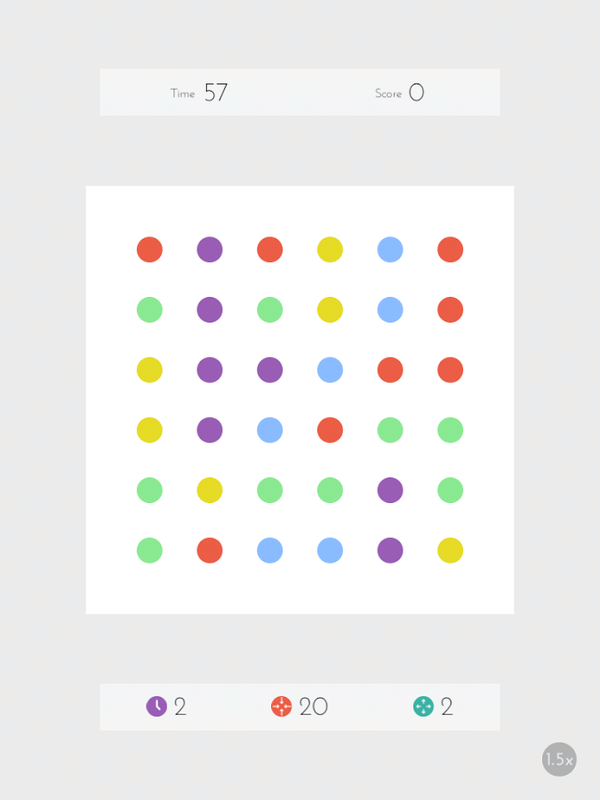 This is a simple, yet highly addictive, game. Ruzzle – Ruzzle is a word game where you and an opponent compete to find the most words out of a set by swiping your finger over the letters. Vector – This is an arcade style game where you are running away from “Big Brother.” Vault, slide, and climb your way to freedom. 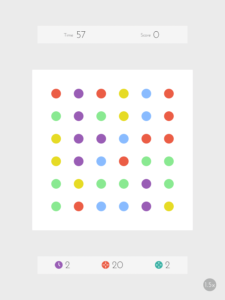 Dots — Connect as many dots as possible in 60 seconds in this addictive game. Pet Rescue Saga — From the makers of Candy Crush Saga, Pet Rescue Saga has over 150 million downloads, making it one of the top grossing Android apps. Save your pets by matching two or more blocks of the same color. Clash of Clans — Lead your clan to victory in this epic combat strategy game, where you can battle against thousands of other online players. Subway Surfers — Escape from the Inspector and his dog as you race through the subway and dodge oncoming trains in this action-packed game. 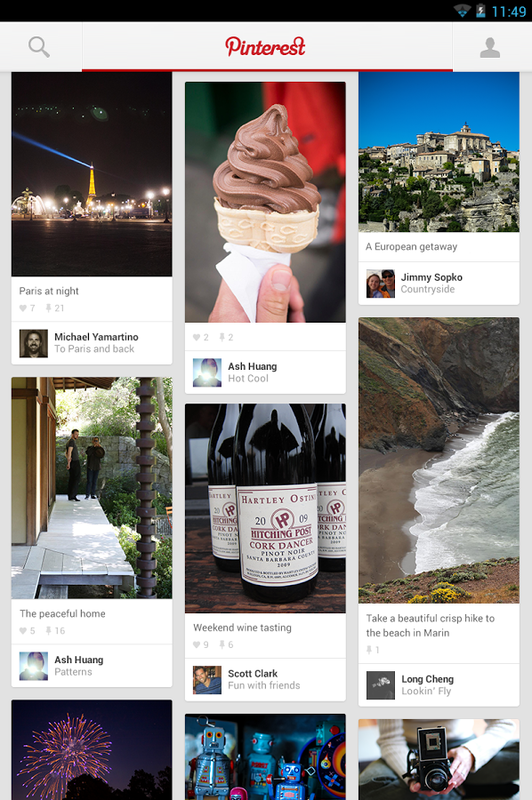 Pinterest – Pin images from the Web or your camera to share with others. Circle – This social app helps you find and connect with people physically near you with similar interests. Tumblr – This is a blog app that lets users post any type of media, save drafts, queue posts, and manage multiple blogs. ooVoo Video Call – Here is an app that allows you to participate in video chats. Up to 12 people can chat at once and it’s free! Skout – Skout is a global network for meeting new people, near you or around the world. Promote your profile and earn points to unlock premium features. Google+ — Now with over 300 million active monthly users on the social media site, the Google+ app can no longer go overlooked. Follow friends and influencers, join communities, and automatically back up your photos and videos at full resolution. LinkedIn — LinkedIn is the best social network around for business professionals, but it’s also an exceptional tool for landing jobs. Build your professional network, join groups, and search for jobs all from one app. Snapchat — With over 30 million active users, Snapchat is a great app for goofing off with friends even when they’re far away. Snap a photo, add a caption, and send it to your friends. Instagram — Upload photos and videos from your device, customize them, and share them with your friends. FlightAware Flight Tracker – Track flights and delays in real-time. Also get alerts on flight delays. Find Me Glutten Free – With more and more people becoming allergic to gluten, this app will help them find gluten-free restaurants while traveling. Restaurants and Menus – Find menus from anywhere in the world and call the restaurants from the app. 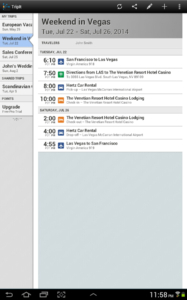 TripIt Travel organizer – Keep your travel plans in one app and access the details whenever you need them. Other features include sharing your trip plans, syncing with your calendar, and getting local weather forecasts no matter where you are. BackCountry Navigator pro – Use your phone as an off-road GPS with topographical maps. This can be used for activities such as hiking, hunting, and backpacking. 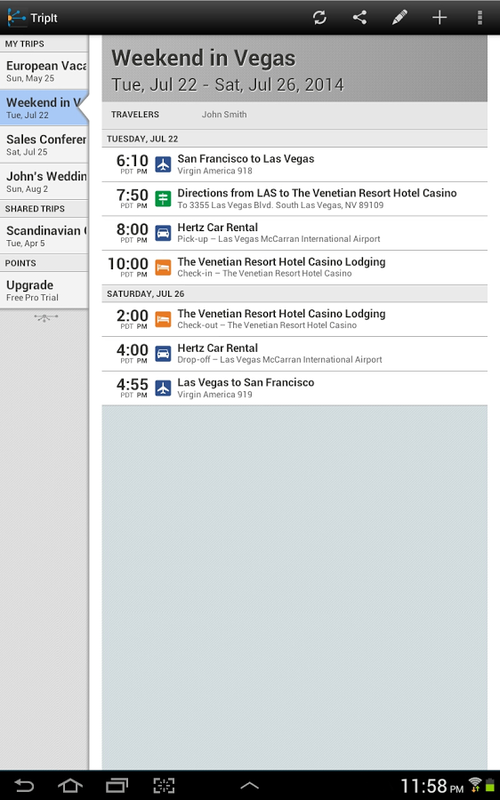 Hipmunk — This app makes it easy to make travel plans by sorting through hotel, travel, and car rental deals. Plus, you can use the app to book last-minute hotel rooms. Scout GPS Navigation & Traffic — Enjoy a quicker, more stress-free commute with this traffic app. It gives you real-time traffic data to help calculate the best route. Stay.com Guides, Offline Maps — Create your entire travel itinerary for 150 different cities straight from this app, which gives you recommendation on where to stay, dine, shop, and visit. Gogobot Travel—Use this app to plan your next vacation or to search for nearby attractions while you’re traveling. The app features over 60,000 destinations! 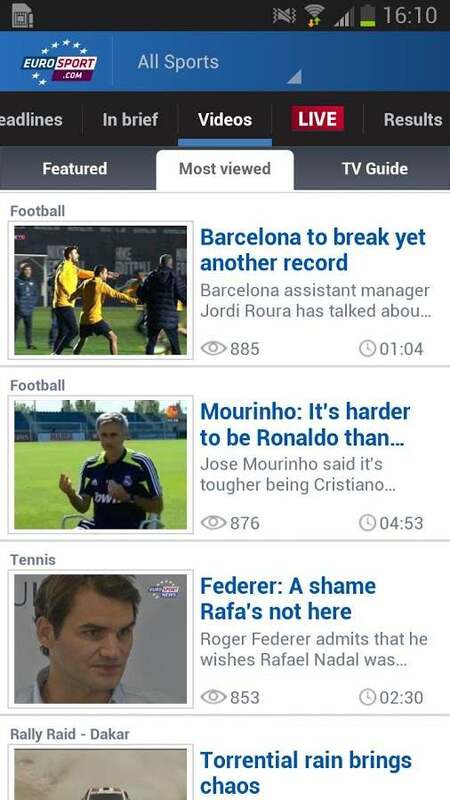 Eurosport.com – This is an app that lets you keep up with everything going on in European sports. Fishing – Here is a tool for freshwater fishing that analyzes the weather, sun and moon positions, moon phase, and other things to determine where fish will be located, how active they are and what lures and baits to use. Ski & Snow Report – Get up to date information on ski and snow conditions at more than 2000 ski areas around the world. It also includes trail maps and can locate nearby ski areas and has reports from other users. UFC TV – Watch UFC events on your phone. Also view fighter profiles, weigh-ins, and press conferences. NHL Game Center – This official app features up to date information and scoring from the NHL. It also includes player profiles. 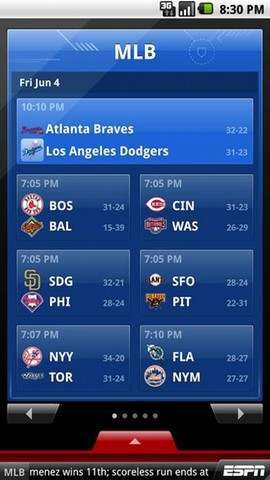 Team Stream — This app helps you stay on top of your favorite sports news and scores. Plus, the app is social so you can easily share updates with your friends. Youth Sports Team Management — Make your coaching or sports management life easier with this simple app that lets you keep track of your schedule, roster, photos, messages, and payments. Plus, you can notify your teammates of last-minute changes straight from the app. Turkey Hunting Calls — Who says hunting isn’t a sport? The Turkey Hunting Calls app helps lure the game in with 12 different calls. Coach’s Eye Free — Capture video of your teammates, and then slow down the footage to analyze and improve your game. Zombies, Run! – This is a cool running simulation game where you run to get away from zombies chasing you. As you run, you collect supplies automatically for use at your base when you get back home. Noom Weight Loss Coach – Get daily tasks to help you be healthier. Track how you’re doing and log food and exercise. It even includes a built-in pedometer to track your activity automatically during the day. Recipes by Ingredients – This lets a user search for recipes based on certain ingredients, allergies, calories, or servings. It’s a great way to find healthy recipes based on items you already have on-hand. Workout Trainer – This features free and premium workout programs with step by step audio, photo, and video instructions. Calorie Counter pro – Scan barcodes and track your calories, exercise, and weight. Jillian Michaels Slim Down — Ever wish you could have TV’s toughest trainer by your side 24/7? Now you can. This app help you stay in shape with exercises, tips straight from Jillian, and a diet and fitness journal. Lose It! — Lose it! helps you stay on track of your diet. Keep a food journal, make goals, and share your goals and achievements with your friends. Web MD — Gain 24/7 access to the best medical advice on the web. FitBit — Connect your FitBit device to the app to track your steps, distance, and calories burned throughout the day. You can also log your food and track your goals. 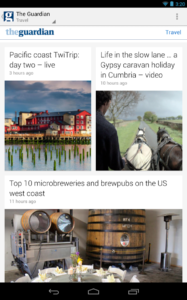 Google Currents – This is an app from Google that delivers breaking stories and free updates from publishers such as Forbes, PBS, and TechCrunch. News360 – This app learns what you like and don’t like and finds news articles and blog posts that are relevant to you. Pocket – This is a bookmarking app that lets you save items from the Web that you want to view later with a simple button press. Lotto Results – This gives you quick access to the latest state lottery results in the US so you no longer have to look them up online or sit by the TV waiting on results. NPR News – Read or listen to the latest stories from NPR stations. Just enter your zip code to listen to your local NPR station live. AP Mobile — The Associated Press app is perhaps the best for staying on top of breaking news. The app curates contents from top news sources like The Chicago Sun-Times and The Boston Globe so you never miss a thing. Plus, you can save stories to read them offline. Digg — Keep up with your favorite blogs and websites by subscribing to their RSS feed. Organize your feeds into folders, save stories, and share your favorites on social media. Feedly — Stop hunting down your news! With Feedly you can organize your favorite websites and stay updated on recent news from one location. AccuWeather — Keep up to date with everything weather, from severe weather warnings to customizable lifestyle forecasts, including alerts for allergy conditions. Ancestry – Interact with your Ancestry.com family trees or build a new one. 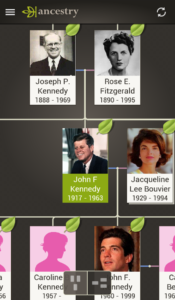 Add and edit family members and perform research to find more. Goodreads – Keep records of books you’ve read and enter them quickly by scanning their barcodes. This is basically a social network for people who like to read. You can also find book reviews and add your own. Bible – Read different versions of the Bible with this app. Add highlights, bookmarks, and public or private notes. Talking Translator/Dictionary – Speak a sentence and hear a translation in the language of your choice. This could be a great app for travelers. Audiobooks – Listen to 2800 classic books, all for free. Wikipedia — When you need to learn something quickly, Wikipedia is a great source. With it on your Android device, you can save pages to read later, search articles, and share your favorites. Google Translate — Speak, type, write, or take a picture to translate between over 80 languages. Urban Dictionary — Look up definitions for any word, including slang terms, all created by the user community. Great Motivational Quotes — Gain access to over 1,000 motivational quotes, and even Tweet the quotes straight from the app. Spotify – Listen to music and the radio anywhere. Save songs you like with a tap. SoundHound – This identifies songs you sing or hum. Lyrics scroll while the song plays. 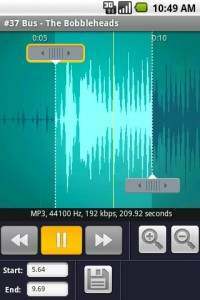 Smart Voice Recorder – This app features high quality, long time sound recording with silence skips. Record meetings, notes to yourself, or even overnight snoring. VEVO – Watch music videos whenever you want on VEVO. Magic Piano – Have fun playing songs on your phone by touching the beams of light. You can sign up to access a database of tunes to play, and feel like you’re playing the piano in seconds even if you’ve never done it before. Songza — Stop struggling to find the perfect beat to fit your mood. With the Songza app, you can discover the right music for each moment of your life. Plus, it’s free with no listening limit! This app was named one of Google Play’s “Editor Choice” apps. SoundCloud — Listen to new music wherever you are for free! iHeartRadio — Listen to your favorite live radio stations with this app. Don’t have any favorites? Create your own commercial-free custom music station. Music Volume EQ — Improve your device’s sound quality with this simple-to-tweak app. 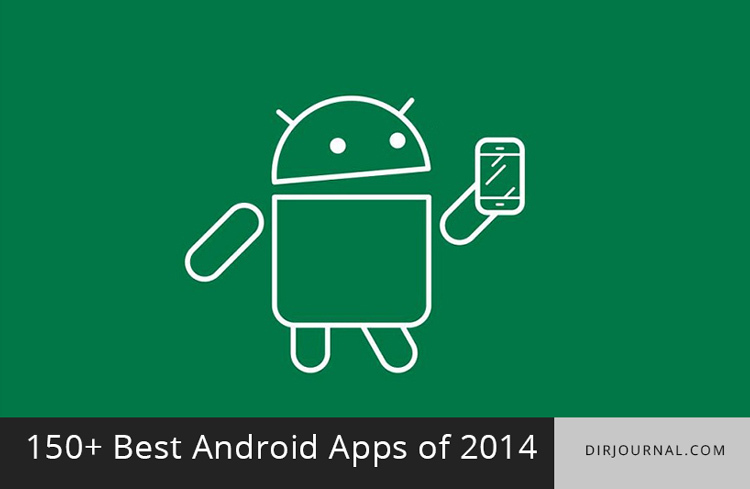 Original Post: Here is our original list of the best Android apps, posted in 2010. Need an App to help you with business-related tasks? Check these out. 1. Tasker – The ultimate automation app for Android, this app allows one to set conditions (time of day, orientation of phone, use of a particular app) under which apps launch or close. 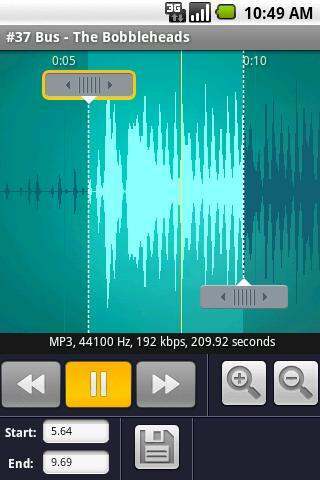 You can also edit volume levels, switch sounds on or off, and more. Includes many other automatic features. 2. Documents to Go – View Word and Excel files on your Android device. For $14.99, a key can be purchased that unlocks create/edit functionality. 3. Bump – Take any two phones that have this app, bump them together, and swap contact information without a single button press. It doesn’t get any easier to share information than this. 4. 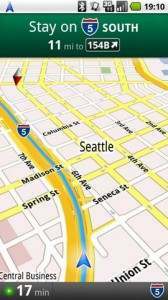 Maps – The Maps app is so dead useful that it alone can be considered worth the purchase of an Android device. 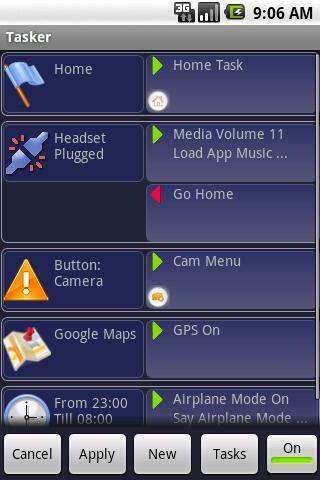 The new navigation feature removes the need for a GPS Unit, or subscription to your carrier’s navigation app. 5. Currency – Up-to-date exchange rate info for just about every type of currency used in international markets today. A must for anyone going international. 6. You Keep Your Money – A collection of apps that keep track of expenses. It shows them as graphs for easy analysis. 7. Fake-a-Call– Great for getting out of a meeting gone too long. Set up a call to go off at a given time, and your phone fakes the call for you to conveniently step out and answer. 8. Google Voice – The best VoIP app on Android is — surprise — from Google. This feature-packed app boasts number consolidation, text notification, voicemail transcriptions and several other bullet points. 9. Dropbox – Quickly becoming one of the new must-haves for the tech-savvy, this app allows you to store and share files through your Dropbox account from your phone. 10. It’s About Time – Track your finances from your device, if you’re a Quickbooks user. Easy integration between Quickbooks Online is one of the big draws of this app. Some Apps are just plain fun. Here are the top 10 entertaining Apps. 1. Ringdroid – A neat little app that lets you slice mp3s on your SD card into custom ringtones. Eliminates the need for all those annoying ringtone apps clogging up the market. 2. 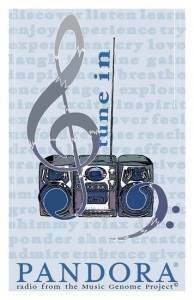 MP3 Music Download – Don’t have the song you’re looking for? Must resort to a tone search engine? This is the one — it eliminates as much hassle and fluff from the experience as possible. 3. Movies – This is a Flixster-powered movie info app. Simple to navigate, it features what’s playing, local showtimes, reviews, and even the ability to purchase tickets through the app. 4. Solo – The first guitar app on Android to actually get it right and work well. There’s a free, limited version as well, which drops multi-touch support as well as a chunk of the chord library. $3.95. 5. IMDb – Put all those questions and disagreements about who played who in what TV show/movie to rest with this app. It creates an attractive and easy-to-use wrapper for IMDb.com, putting the site at the touch of a button. 6. DirectTV– While only useful if you have DirectTV, this app is a good proof of concept: it allows the user to control their DVR from anywhere. Forget to set up some shows to record tonight? Sudden change of plans have you out of the house? This can help. 7. Caller ID Faker – Obviously meant for prank calls, this app features the ability to spoof a different number to your target’s caller ID. The unfortunate bit about this app is its two minute limit on free calls, but it’s an excellent start to the idea. 8. Steamy Window – Talk about a fun little time waster. Blow into the mic of your phone to steam up the screen, and wipe it off by touch. 9. Backgrounds – The only background gallery app worth mentioning. If you don’t have any pictures that you’d particularly care to set as a BG, this 10,000+ background app is for you. 10. Useless Facts – Another fun time waster. Interesting, quirky, and offbeat true facts, served up at random. Move over Nintendo. These Apps turn your Android into the best personal gaming system around. 1. 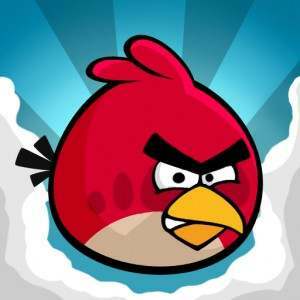 Angry Birds – Physics based action and strategy, involving angry little birds and the pigs they came to get revenge on. Destroy the pigs’ towers using the birds’ unique abilities, logic, and force. 2. Robo Defense – The epitome of a tower defense game on Android. Large maps, achievements, great graphics, and responsive gameplay have made it one of the most popular games on the platform. 3. Fruit Ninja – Who knew that slicing up fruit could be so fun? This hit iPhone game, now available for Android, will have you asking that question repeatedly. 4. Alchemy – Combine the four basic elements (earth, air, water, fire) and their products to create more than 200 different new elements. With a sometimes logical, sometimes bent sensibility, this game will have you captivated. 5. Bubble Blast 2 – A game that involves clicking on bubbles to remove them, and setting up chain reactions. Think Bejeweled, minus all the trademarks and gems. 6. Wordfeud Free – Android’s answer to Words with Friends. A fun little multiplayer crossword app that allows you to play with friends or strangers. 7. Live Hold ’em – The best live poker app in the Market. Allows you to play with users on Facebook or other Android devices. Just don’t bet! 8. Solitaire – What would a computing platform be without a solitaire suite? Simple and lightweight, this app has four common solitaire games to get you through whatever boring moment you’re facing. 9. Toss It– Tossing paper into trash cans. Sounds exciting, eh? You’d be surprised how addictive it gets, if you haven’t tried out a game like this already. 10. Air Control – Guide aircraft safely down to the landing strip by drawing flight patterns for them, while avoiding crashes between planes. Facebook, Twitter, MySpace… regardless of your chosen platform, the name of the game is staying connected. Here are the best Apps to do just that. 1. 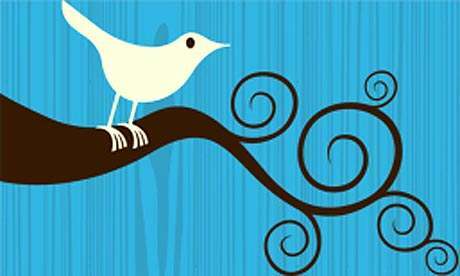 Tweetcaster – The best Twitter app currently on the Market, with all the features one would expect. Share your thoughts in about 140 characters. 2. Facebook – The world’s largest social networking site’s official app. Comes pre-installed on most Android devices. 3. Foursquare– We’re not talking about the traditional ball game. This location-based game that allows you to earn points for letting people know where you’re at in the world. 4. TweetDeck – A mobile browser that combines functionality for Twitter, Facebook, and Foursquare. The standalone apps do what they do better than this one does, but if you’d prefer to have them all in one place, this is your app. 5. HeyTell– Turn any Android phone into a Push-to-Talk phone with this app. Send a short PTT message, encrypted, with the option of location, to other HeyTell users over 3G/4G/WiFi. 6. Bump– Take any two phones that have this app, bump them together, and swap contact information without a single button press. Seriously one of the coolest concepts we’ve found. 7. Myspace Mobile – the first big breakthrough of social networking may be on its way out, but if you’re still a regular user, this is the official app for mobile use of the site. 8. Picasa Tool Pro – A functional, well-built app for users of photo sharing service Picasa. And Picasa is one of the best ways to share and manage photos. Hitting the road? The following Apps will make your trip a bit easier. 1. 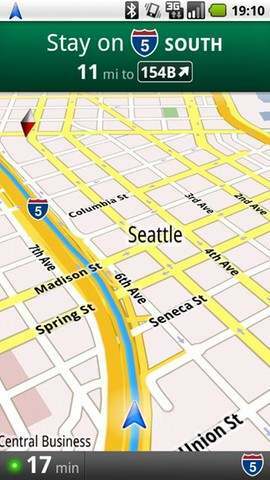 Maps – An absolute no-brainer, the up-to-date maps and Navigation beta feature completely obselete the concept of a GPS unit. No Android user should be without it. 3. GasBuddy – Comprehensive, up-to-date gas prices are what this app is all about, allowing you to find the cheapest fuel in your area. Very useful for the budget-conscious traveler. 4. Yelp – A massive database of reviews, info, and opinions on all the places to eat, sleep, and play. The ability to write one’s own reviews is a plus. 5. Kayak Flight and Hotel Search – Probably the best hotel/flight booker on a mobile platform, right now. Easy to use, reliable, and the rates aren’t bad. 6. Car Locator – Tag your car’s location when parking in a large lot, and find it again later with minimal hassle and GPS accuracy. Not too great in parking garages, unfortunately, but open-air parking is what this app was made for. 7. Currency – Not quite as important to the traveler as the businessman, but still dead useful. Exchange rates for nearly every currency in the world. 8. Urbanspoon– When you can’t decide where to eat, this app is here to help. It suggests places to try out, and features favorites and wishlists in order to better tailor your experience with the app. 9. Trapster – This app will alert you when you approach known police speed traps, red light cameras, and speed cameras. Throw in 5 million regular users constantly updating the database, and you’ve got a dead useful app. 10. Happy Hours – An app designed with the drink and food specials in mind. This app alerts the user to the best local deals at bars and restaurants. Do you live and breathe football, baseball, or basketball? Maybe another sport like MMA? Then you need to get your hands on some of these Apps. 1. ESPN Scorecenter – Keep updated on all the latest scores with ESPN’s incredibly comprehensive coverage of every sporting event known to man. 2. 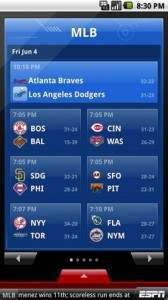 Live Scores – Much simpler and more stripped-down than ESPN’s offering, Live Scores is a just-the-facts app for those who want numbers and no flashy designs. 3. MMA News – MMA is hot. Period. This is the most popular and highest quality MMA news aggregator currently available, for those who love their fights. 4. NBA Game Time – With the 2010-2011 season gearing up, now is the perfect time to pick up the NBA’s official scores and news app. 5. Skydroid Golf GPS – This app turns your phone into a GPS based rangefinder, perfect for club selection on that next tricky shot. Golf just turned more science. 6. Yahoo! Fantasy Football – Fantasy football has exploded. Here’s the web’s #1 fantasy football community by numbers comes to Android in the form of this functional, light app. 7. NFL Sunday Ticket – Another DirectTV based app with a good concept. With a subscription to DTV’s NFL Sunday Ticket package, this app allows live streaming of any and every game being played at the moment. Technology isn’t just for the lazy couch potato. Use these Apps to stay healthy. 1. 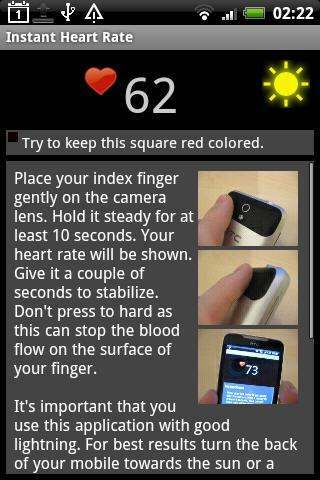 Instant Heart Rate – This app measures your heart rate with only a finger over the camera. Pretty nifty, and accurate enough for such a gimmicky application. 2. CardioTrainer – An app to track walking, running, biking, and other activities. Keeps track of distance, time, calories burned, and maps the route taken with GPS. 3. Lightning Bug – A sleep machine app with a decent collection of different sounds. Perfect for those who need a little white noise to sleep to—including babies. 4. 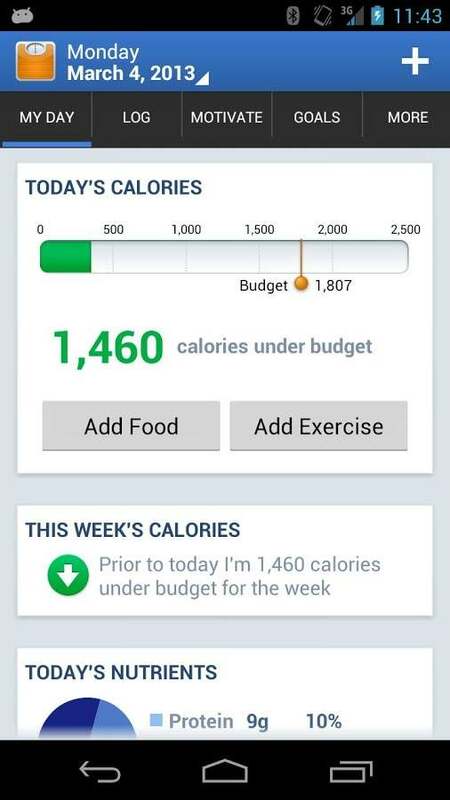 Calorie Counter by FatSecret – Keeping track of your calorie intake has never been so easy. Searchable databases and a barcode scanner make it easy to quickly input your meals. 5. Sleep Bot Tracker Log – Exactly what it says on the tin – a sleep tracker. Allows you to not only track how much sleep you’re getting a night, but your total sleep debt overall. 6. Baby ESP – Being a new parent is stressful. This app allows you to track your baby’s needs. It even predicts when you can best to address those needs. 7. First Aid– Plenty of information on first aid for dozens of different situations. Easy to use, and quick — very important in certain emergency situations. Remember, no one expects accidents to happen. Be prepared. 8. Favorite Recipes – Don’t know what to cook? Search recipes by name, ingredients, keywords, and categories. An excellent pocket cookbook. 9. PillReminder – An app version of what women have been doing with their cellphone alarms already for years, this app is basically a birth control reminder. And from the looks of the comments, very effective. 10. Mindfulness Bell – Quite the interesting concept – this app rings a bell periodically during the day, at which point the user is to think about what they are doing and their current mindset. Reportedly, this is very good for mental health and de-stressing. The days of newspapers and the evening news are long gone. With these apps, stay up to date on everything that’s going on in the world around you. 1. 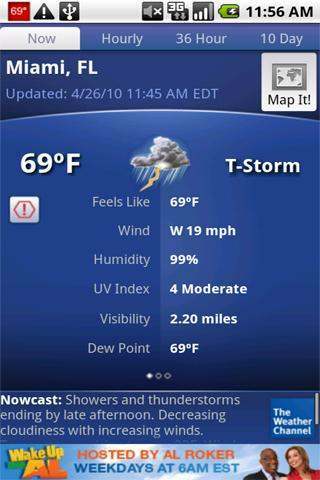 The Weather Channel – This App has a great interface with simple and low-resource widgets. Also get up-to-the-minute weather information make this app a must-have. 2. Engadget – This is the dedicated reader for Engadget. It’s the definitive source for news and reviews on gadgets and technology. 3. USA Today – The latest news, scores, and weather from USA Today. A great way to keep aware of what’s happening in the world at large. 4. CNET News – More tech news, but from the decidedly differently-flavored teams at CNET. Very slick, pretty interface on this one. 5. BBC News – The BBC’s top headlines and stories in a convenient package. It’s easy to use and read. 6. HuffingtonPost.com – Keep on top of the Huffington Post’s provocative and informative reporting with this app. Not your average news here, Ladies and Gentlemen. 7. reddit is fun – An easy to use shell for reddit.com, taking all the hassle out of using mobile web to browse the site. Just open it up, read, and vote. 8. NY Times – The New York Times in a simple, compact app. No need to explain this, right? 9. Voter Map – More of a discussion of the news than news itself, but with midterms just finishing, this app connects politically active minds to one another quite beautifully. 10. World Newspapers – Top News – An aggregator collecting news stories from all the major US news outlets, including The Wall Street Journal and USA Today, as well as many non-US papers/magazines, and web content. Great for an all-in-one solution to your news, though the standalone apps for each source look prettier. Looking for information? 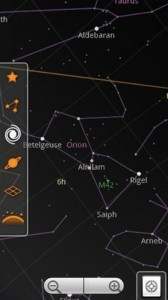 Here are the top 10 Apps for finding and viewing it. 1. Google Sky Map – One of the coolest things to come out of Google labs, this app overlays a map of the night sky on wherever the camera is facing, showing you what stars you’re looking at (or would be, in case of daytime). 2. Aldiko Book Reader– Currently the most successful e-reader on Android, with tens of thousands of texts to choose from. Must-have for literary types. Remember readers are leaders. 3. Kindle for Android – Bringing the Amazon Kindle’s entire library to the Android userbase. That’s like 700,000 texts. 4. Dictionary.com – An app wrapper for Dictionary.com, this turns it from a website into a pocket dictionary. Useful and quick. 5. Wikidroid– Wikipedia in a more attractive format for mobile devices, with all the functionality of the actual site ported into the menus. The best destination for any random knowledge you could ever want. 6. United States Constitution – The full text of the Constitution, for review or edification. You’d be surprised how many people have no clue what it says. 7. Wolfram Alpha – The computational knowledge engine that was a minor internet firestorm not too long ago is now available in a convenient app. 8. Audible for Android – Audible, the Internet’s leading provider of digital audiobooks, presents its library for listening pleasure in this app. 9. How to Tie a Tie – Now let’s be honest, nobody is going to need this app for more than one special occasion, or maybe their first week at a job that requires a tie. But it performs its function. Who needs the radio when you have an Android? Check out your options for listening to music below. 1. Pandora Radio – The absolute best music app of all time. 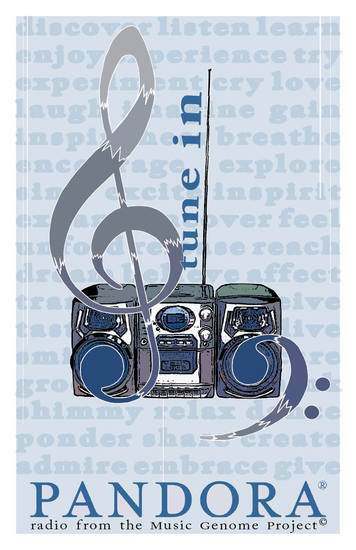 Customizable radio stations, tailored to your tastes by you. 2. Last.fm – Between Pandora-style stations, the social networking aspect of Last.fm, and the ability to scrobble plays to your Last.fm profile, this app is a fun total package for those wanting to be more sociable with their music. 4. Ringdroid – A neat little app that lets you slice mp3s on your SD card into custom ringtones. Eliminates the need for all those annoying ringtone apps clogging up the market. 5. Shazam – An app that puts an end to wondering what song you’re hearing on the radio. The app listens to the song, analyzes it, and reports back with the title and artist, as well as links to info and places to purchase. 6. Winamp– Still in beta, Winamp’s mobile incarnation far outclasses any of the stock Music players that come packaged with Android builds. Highly recommended as a main music player. 7. TuneWiki Social Media Player – another music player that beats the stock application, with a twist: this one searches and displays the lyrics of a given song karaoke style as the song plays. 8. Album Art Grabber Free – A tool that grabs album art for the music loaded on your SD card. Not essential, but sure does make things prettier when combined with Winamp. 9. Uloops Music Composer – A loop-based music composition program with a vibrant and talented community. There’s a bit of a learning curve to using it, but this is probably the best way to make music on a mobile platform seen yet. Which Apps have you downloaded? Are there any you think should be added to this list? Share your thoughts in the comment section below. 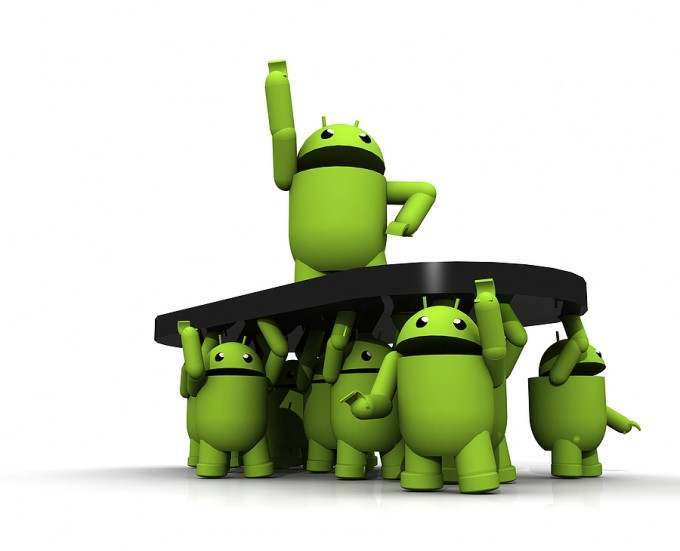 Introducing Android 4.0 (Ice Cream Sandwich) is the latest version of the Android platform for phones, tablets with android, and more. It builds on the things people love most about Android — easy multitasking, rich notifications, customizable home screens, resizable widgets, and deep interactivity — and adds powerful new ways of communicating and sharing. Edit: Please also check our post on Best iPhone Apps. Your links are off for Baby ESP and First Aid. Nice list, I need to update mine. I still have the original Sprint HTC Hero. I don’t want to get a new phone because I have a yr left on my contract. This is the top 10 apps. I use on my phone right now. Found another one on Android – CallReminder – very usefull to reminde you about things when making a call. You can look it up on Android Market .. has a yellow sticker on a phone as an icon. A lot of apps are “nice to have” I think this one is a “must have” at least for busy people. Excluding the online libraries that Kindle and Aldiko give you access to, I’ve found FBReader to be the superior e-reader app. Cool. I’ll have to check it out. What makes it superior to you? I want to thank you for writing this article. Of all the web pages with lists for Android, I found yours to be helpful, organized, relevant, and most importantly your suggestions led me to download a few applications with my new Android device. Most of the others are full of spam, fairly outdated, and focus too much on tacky things or games to the detriment of the other categories. Although, one minor criticism is that you don’t single out paid apps. But that’s not a major drawback because many people would stop reading and not even bother learning about a tool like Tasker if it said paid. That being said, $6.41 or so for that product is a little more than I am willing to spend. I know I am late to commit but I agree with this user on how helpful this page was compared to others. You also didn’t mention the Nook e-reader app, which is great. I also use gtracker to keep track of my groceries and what is in my kitchen already. Shopper from google is another great app too. Check out Cover Art Downloader as a replacement for Album Art Grabber Free. This one is faster and easier to use and finds way more album art, works with various artist and rare releases where Album Art Grabber failed for me. NY Times, Huffington Post, USA Today… nice collection of uber-left, communist news outlets! You missed MSNBC, though. I just tried to pick the news Apps that most users were happy with. Politics had nothing to do with it. I can’t believe you missed the Drudge Report App. It’s the only one I use. Thanks for the rest of the list! Please, try not to act so silly. It’s like protesting the PillReminder app because it encourages uber-left, promiscuous feminism; this isn’t about politics or personal judgment, it’s an app list. And a really helpful one at that. I believe Foxnews.com has an app list somewhere you’d agree with more? I would have expected to see Poynt on the list somewhere. Although I think it worked a little better on my BB, it’s still great on Android. Also, Endomondo is a great fitness app. Dcoctor got that RIGHT, PowerAMP BLOWS every other music player out of the game, try it and see for yourselves. 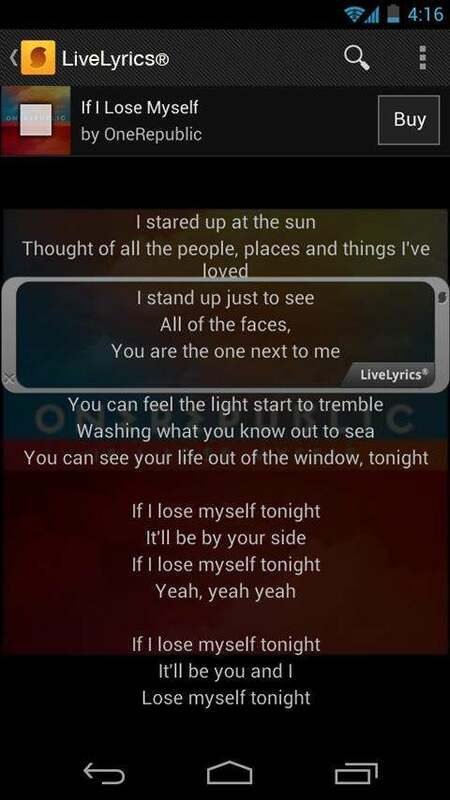 I second what Ducasp said about SoundHound. It also works at concerts. Just got a smart phone and this list is very helpful. Thanks! RSS reader – Pulse News Reader. Now free. My favorite android app is fastmall. Its been on iphone and just released to android market! Awesome and helpful. Thank you for the article. As already said above, relevant and up to date. I use Xiialive Lite for streaming radio (Shoutcast) and it rocks. Winamp rules also! Thanks Malik. It was a lot of work. I’m glad it’s helpful! Thansk everyone for the positive feedback. As far as any Apps that may hav ebeen missed–narrowing it down to only 10 per category is next to impossible. That said, please keep sharing any you think should be added to this list. I’m sure all the readers appreciate your suggestions! Wikitude. Wikitude is an “augmented reality” global travel guide that overlays Wikipedia and other user-contributed content over the phone’s camera view, giving you information on your surroundings. Have you tried Slacker for music? I like it better than Pandora because it has customizable station with CACHING so you can listen to it anywhere anytime with no connection. I would add Grooveshark to the music list, noting that it is a paid subscription app. That said, I am a die-hard supporter of their work and got in early, so I may be biased. The free version is still pretty good, if I remember correctly! Thank you very much for this excellent list! I used aroundme a ton on my iphone, so I am glad that I can use it on my evo. You can also download apps at Aproov (www.aproov.com). It’s entirely web-based and does not require the Google Market app. This is great if you ever plan on eventually switching to a different mobile device manufacturer because your apps will always be available at Aproov. If you download them at the app store of the mobile device manufacturer or carrier, you will have to relocate your apps all over again. One suggestion I might give is adding PowerAmp to the music section, because imo and from my experience it’s the best music player on the android market right now. It’s also the most sold music player, highly rated and I believe it’s within the top 10 all time most downloaded paid apps. Was surprised to not see it here seeing it’s popularity and critical acclaim. It is a very useful and exciting apps. This is a very helpful list! I just bought an android phone and I will try download most of them and install them. Thank you! There are dozens of “Android App Lists” blog posts every day. But yours is the most organized, relevant, and in sync with my tastes and opinions. VLINGO!! True HANDS-FREE texting, smart web searching, voice dialing. Even reads your incoming text messages. Blows the Google dialer out of the water. FREE. Doesn’t get better than that. Huge database of best android apps here. I loved to see all top 5 apps in each category. well written. Pro ! I can’t wait to see how “robot assistant” apps are gonna explode in the next year or two now that iOS has siri as a selling point. I got Everfriends yesterday- and instead of a robotic voice, you have animated cartoons that perform tasks while being entertaining and having personality. It’s free too! (And if you think I’m shilling for them, look at all of the 5-star reviews it’s got). Gotta add AppZilla to this list! 40 apps for 99 cents! Thanks for sorting out apps for us. I was looking for educational apps particularly on LTE topic. Will it be possible for you to add “educational” apps and include apps which provide educational information on cutting-edge technologies like cloud-computing, LTE, 4G etc… ? There are certainly a whole lot of particulars like that to take into consideration. That is a nice level to bring up. I offer the ideas above as basic inspiration but clearly there are questions just like the one you deliver up the place a very powerful thing might be working in trustworthy good faith. I don?t know if best practices have emerged round issues like that, but I’m certain that your job is clearly identified as a fair game. Each girls and boys feel the influence of just a second’s pleasure, for the rest of their lives. The FIRST voice enabled assistant that uses the Wolfram Alpha knowledge base. For the first time, the same knowledge base that Siri uses is now available to a voice assistant on Android. This gives you access to a tremendous amount of information, in a clear textual or graphical description, spoken out with a very pleasant voice by your assistant ‘Eve’. I used most of android apps that are on top at Android Play Store and that all are really great. Thanks buddy for sharing this post. Fantastic list; thanks for sharing Chris! I already have a bunch of these apps on my Android, but there are definitely more than a few here that I need to check out soon! One app that I’d recommend putting in your entertainment category is DISH Anywhere. I’ve had that app ever since I started working for DISH because it allows me to watch all of my favorite shows from home, live or recorded, anywhere I go in the world. I tend to travel a lot for my job, so not only is it a great app to use during flight delays and such as entertainment, but it’s also nice to have when I’m stuck across the country on business and want to catch up with my shows. Nice post! these apps are all awesome and eye catching. this apps will help all users to relieve boredom and enjoy with these games and instruments apps. in Lily’s fairytale fort. Also, you will need to register with the major instant messengers – Yahoo, AIM, MSN, etc. 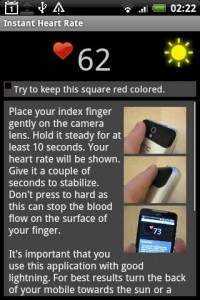 is an application which allows a user to manipulate their phone from a PC. Is there an updated list on this post? Android apps have grown significantly, which makes it harder to look for the right apps. Looking forward to an updated list.